SO NOW IT’S THE 17TH ANNIVERSARY OF 9/11. Back then, InstaPundit was shiny and new new. Now it’s not, and some people have been warning of “blogger burnout.” But I’m still here. On prior 9/11 anniversaries, I’ve given shooting lessons to a Marine, I’ve taken the day off from blogging, and I’ve even gone to a Tea Party with Andrew Breitbart. This year, as in most past years, it’ll be blogging as usual. And here’s a link to my original 9/11 coverage — just scroll on up. At this late date, I don’t have anything new to say on 9/11. But these predictions held up pretty well. Which is too bad. 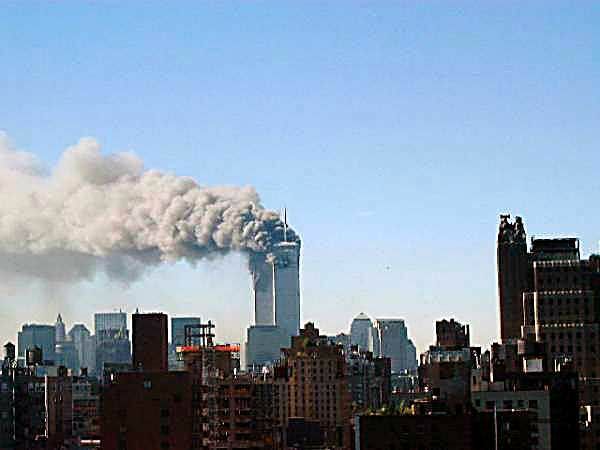 The picture above is by my cousin-in-law Brad Rubenstein, taken from his apartment that day. You might also want to read this piece by James Lileks. One thing I guess I didn’t believe 17 years ago is that America would elect such a feckless President in 2008, and stand idly by while he flushed our global position, and security, down a left-wing toilet. But we did, and we’ll be paying the price for a long time.